A young and dynamic law firm enthusiastically emerged in Moreleta Park, Pretoria East and it is planning to make waves. 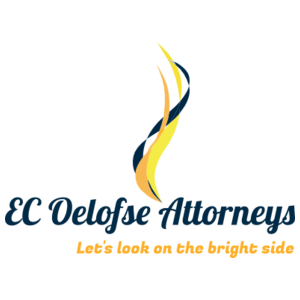 Meet EC Oelofse Attorneys- the Law Firm that will help you design a new future. We strive to provide clients with excellent legal services and we always have our clients’ best interests at heart. Sometimes a situation may seem hopeless- and we are there to help you pick up the pieces and to look on the bright side. We believe that by looking into the past you can design a new future. We are passionate about fighting for the voiceless, the mistreated and the vulnerable in a responsible manner. Our ultimate goal is to help our clients and to ensure that our clients keep to their budgets. We will not only advise you on your current legal situation, we will also help you to design your path forward. The future is bright!